Brides should do a lot of things the week of their wedding day. However, some are more important than others. Here are 10 things all brides should do the week of their wedding. Make sure you include these in your wedding checklist. Brides need to try on their wedding dress, shoes and anything else they plan on wearing. In other words, they should do a dress rehearsal. 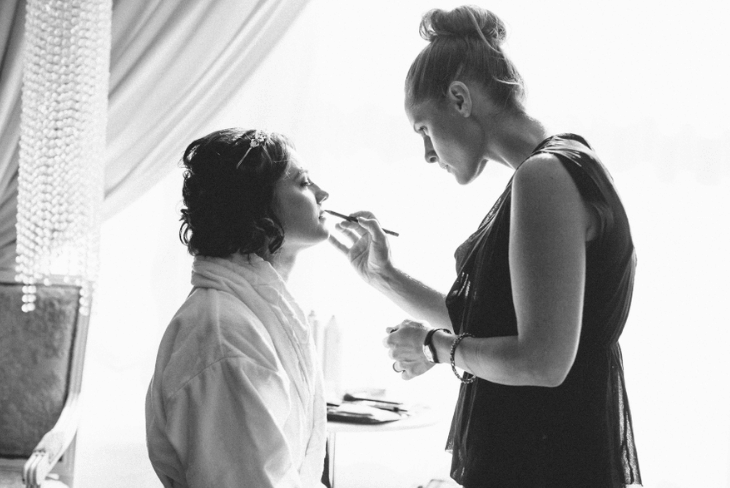 It’s important that a bride feels completely confident with their entire look. Asides from trying on bridal shoes during the dress rehearsal, they want to break the shoes in. Wearing the shoes for about 20-25 minutes per day should be good enough. This will allow the bride to get used to wearing the shoes. Believe it or not, many brides don’t sleep enough during the week of their wedding. While it’s true that wedding week is busy, it’s essential to get plenty of sleep. Brides should aim to get at least 7-8 hours of sleep per night. This will keep them feeling fresh and their minds cleared. Looking for other wedding checklist? Click here! It’s easy to forget your vows when you haven’t been practicing them. Make sure you practice reading your vows at least 2-3 times per day. If you don’t put this task down on your wedding checklist, you might end up regretting it on your big day. Another thing that should make it on your wedding checklist for things to do on the week of your wedding is to pack the honeymoon bag. The chances are you’ll be off to your honeymoon destination the night of your wedding or shortly afterward. It’s better to be prepared because it means you can just focus on getting to your destination and not on last minute packing. Confirm who will give a toast. Contact each person and remind them that they will be doing it and give them a time frame of how long they should speak. This will keep them feeling calm and they will be more confident when the time comes to toast. Do the most thorough clean around your home. Whether you are going on your honeymoon right after your wedding or coming home after the wedding, you want to come back to a place that is clean. This will allow you to relax and take it easy. You want your vendors to show up on time on the big day. This is why brides should contact their vendors the week of their wedding. Make sure you provide them with the contact information of the person who will be taking care of everything for you. The chances are you’ll want to get out of your wedding dress shortly after the ceremony. Plus, you may be going out to celebrate. Regardless, it’s a good idea to pack a casual dress that you can change into after you have gotten married. Brides tend to eat less and drink less during the week of their wedding. However, it’s important to stay hydrated, so keep a bottle or gallon of water with you at all times. This will keep you hydrated and feel refreshed. Include those 10 things in your checklist and it will make the week of your wedding much easier to deal with.